Delhi Metro project started in 1990s with an aim of creating a world class metro railway network in Delhi. 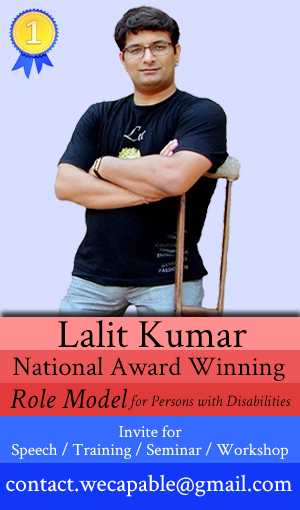 At that time, I wondered if Delhi Metro will be made accessible for the persons with disabilities? Delhi’s public transport system was very unfriendly for the persons with disabilities. However, I have been pleasantly surprised to see that the Delhi Metro has always kept accessibility in mind. Metro stations and trains provide a number of facilities that make travel easier for persons with disabilities. In this article, we will see what facilities Delhi Metro provides to make the whole network accessible for everyone. A number of Delhi Metro stations are equipped with elevators (lifts) which can be used by persons with disabilities to reach at the platforms. Even better thing is that mostly these elevators are found to be functional! So, you can easily get your wheelchair inside the lift and reach the desired level / platform. These lifts are meant for the exclusive use by the persons with disabilities and elderly. However, you may find other people also using the elevators. Also, sometimes, insensitive vehicle users park their vehicles at the accessible entrance; thereby blocking the access. You should complain about such hurdles to the Metro staff. Way to elevators are properly marked. See the list given at the end of this article to find out station gates with elevators. Elevators have rails inside to help wheelchair users. Elevator buttons are marked with embossed signs as well as Braille. Audio notifications are also played. 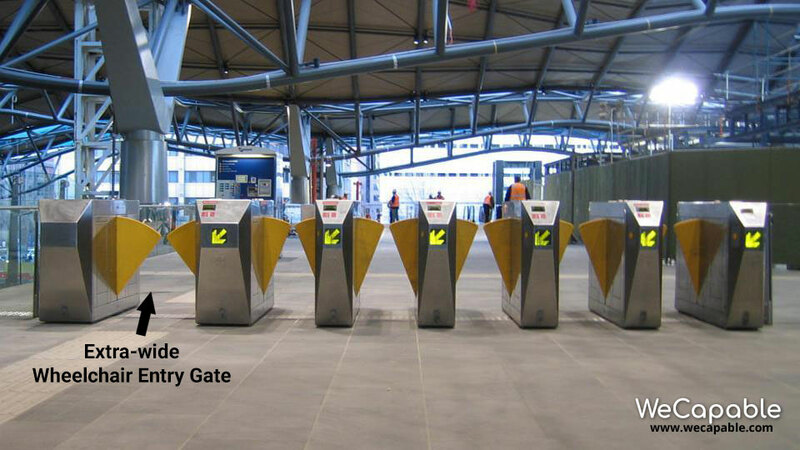 Flap gates have been installed to regulate the entry of passengers on to the platform. These gates can be opened extra-wide to allow wheelchairs through. Wheelchairs are available at every station for those who need one. You can contact the Customer Care Counter to get assistance. These counters are located near the entrance of the station. On station floors tactile pathways have been made to help guide the persons with visual impairment. These paths are made of bright yellow tiles with tiny bumps and ridges on it. Visually impaired people can feel the path by touching cane on these projections. Bright color of the path helps people with low vision to better see the paths. These paths do lead people right to the places like ticket counters, toilets, platforms etc. The train floor and the platform are in level. Thus a wheelchair can be easily rolled into the coaches. There is a gap of few inches between train and platform. The passengers should mind this gap as small front wheels of a wheelchair may get stuck in this gap. All metro stations are equipped with accessible toilets. These toilets are well maintained. Frequent cleaning is carried out. these toilets have wide doors, low height commodes and handrails etc. All the stair cases inside metro stations are lined with hand rails. These railings are very helpful for elderly and persons with visual impairment who would want to use stairs instead of an elevator. You will find well lit signage at appropriate places to inform you about various facilities like elevator, entry, exit and accessible toilets etc. Seating space has been reserved for persons with disabilities and elderly people. There are wheelchair parking spaces inside every coach. You can safely park your wheelchair in these spaces. Ramps have been installed in metro stations wherever surface level changes. Ramps have been made according to standards. It should be noted that in peak hours metro stations (especially at the interchanges) could be very crowded. 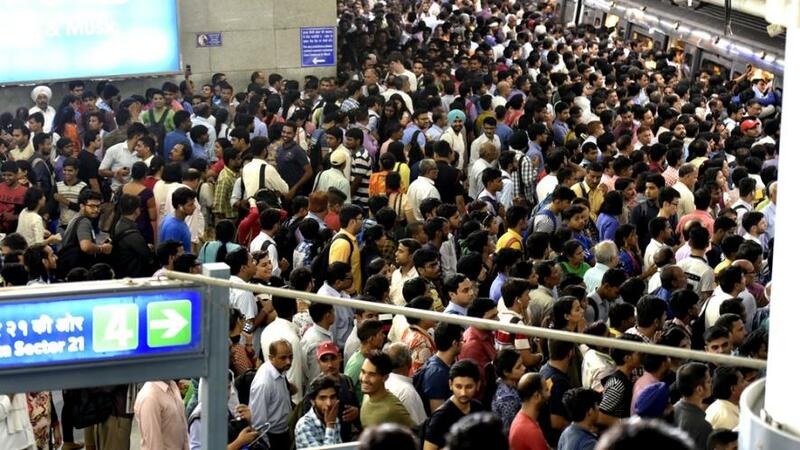 Peak hours in Delhi Metro run from 8:00am to 12:00pm and 5:00pm to 9:00pm. Following table informs you about the availability of elevator at each Delhi metro station. You should reference it before planning your journey on Delhi Metro. Gate No.3 Towards Holi Family Hospital, Jamia Millia Islamia University. 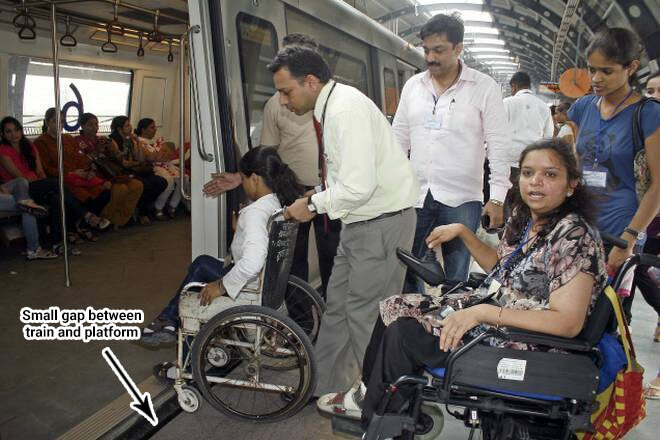 Do you have a disability and have you traveled by Delhi Metro? Please share your experience with us. 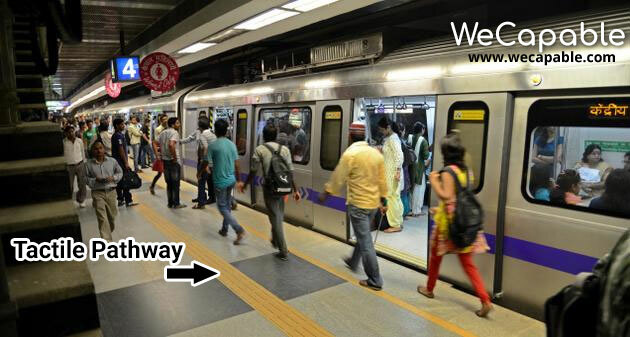 Also, share your tips for safer and easier travel using Delhi Metro. Thank you for using WeCapable! 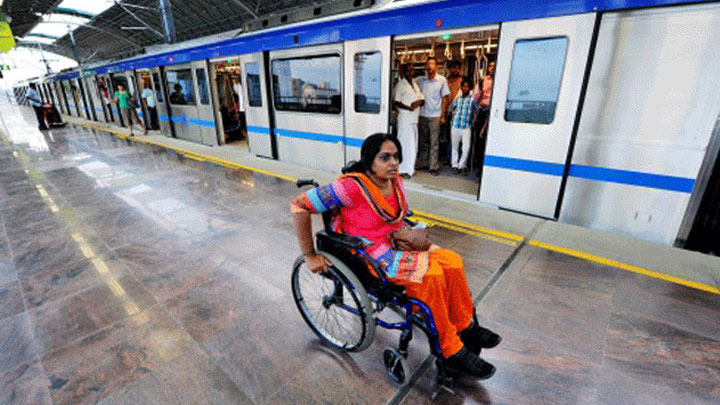 Home » Accessibility » Is Delhi Metro Accessible for the Persons with Disabilities?